Since email marketing has withstood the test of time, it’s nice to know that you can integrate mobile and email marketing to better connect with your customers along the way. However, as with collecting email addresses through a website, the main obstacle you’ll stumble upon through the mobile interface is getting more email subscribers. Therefore, keep reading to learn more about how to improve your collection efforts. If that’s the case, there’s really no reason for you to weigh down your app with the feature in the first place. 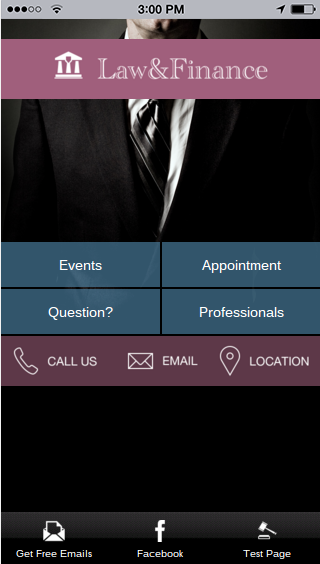 The only way customers are going to subscribe through your mobile app is if you make it incredibly easy. That means starting out by including a quick tab or button on your homepage that has the email list in their mind at all times. 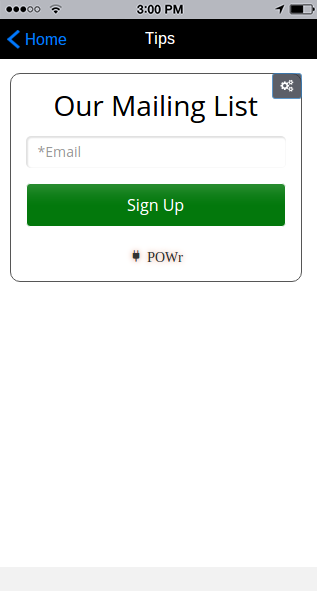 Upon implementing this widget on your mobile app, people can punch in their email addresses within seconds. The default design looks simple, but you can also change around the fields, connect to services like MailChimp and modify the branding aspects. It’s also not a bad idea to share your entire app through social outlets, text messages and email. In fact, iBuildApp provides a wonderful Promotion module for connecting with all of those. 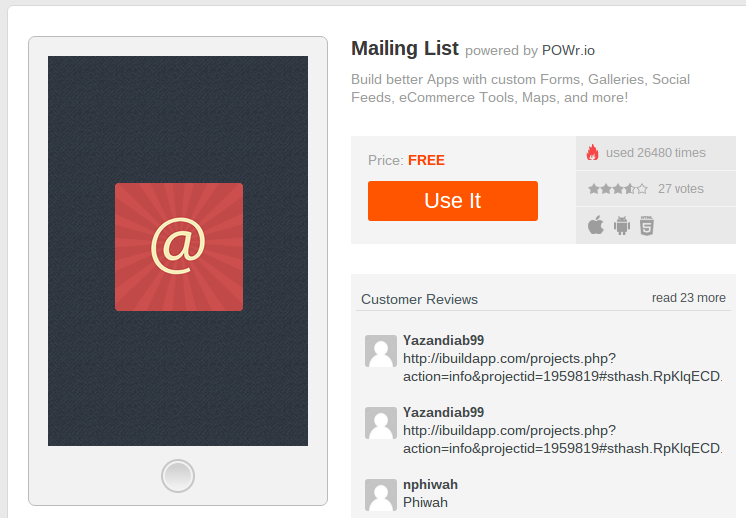 You’ll also find code to embed information and links about your app on websites and blogs. Building your email list doesn’t only require online efforts. In fact, one of the easiest places to convince people that they should sign up for your list is at live events. If you run, or go to, a conference, tradeshow or any other love event, make sure to collect contact information such as email addresses from the people you talk to. An email address is personal information, so not everyone is willing to give it up that easily. Therefore, it’s a must for you to give out some sort of benefit when people hand over their email address. First, choose what you’d like to give out. Some examples include free eBooks, small discounts on products, free shipping for an online store and coupons to be used later. Guides and videos are also rather popular since they don’t consistently cut into your margins.